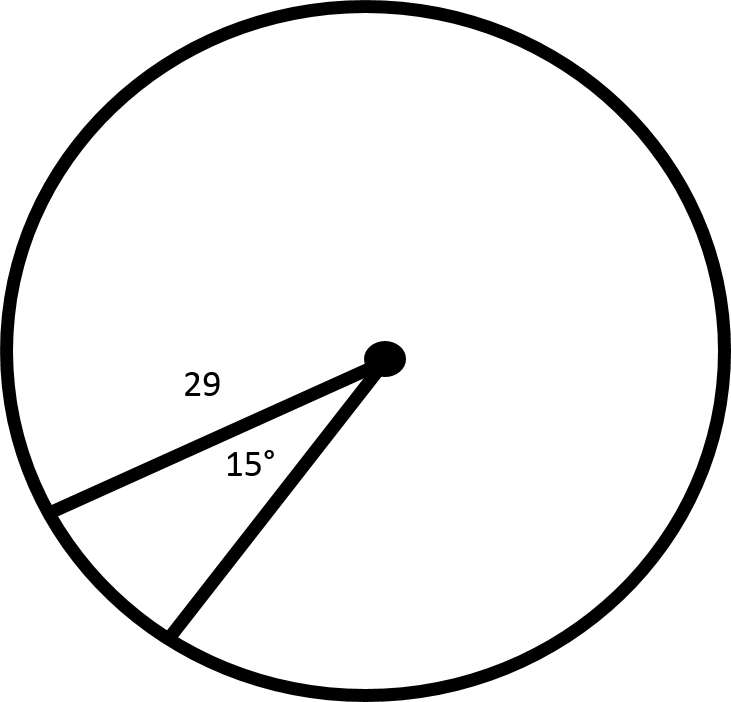 Find the area of a sector that has a central angle of degrees and a radius of . 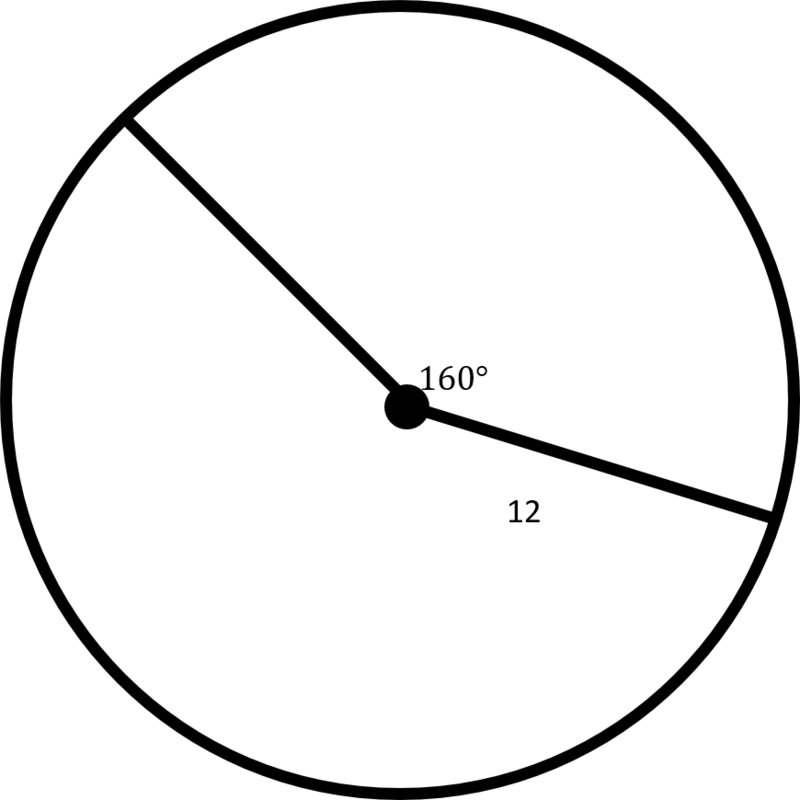 The circle in question could be depicted as shown in the figure. 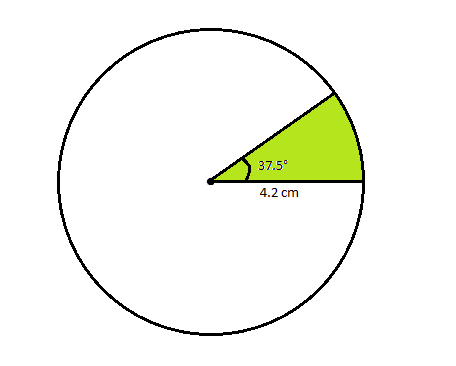 Since the central angle and the radius are given in the question, plug them in to find the area of the sector. 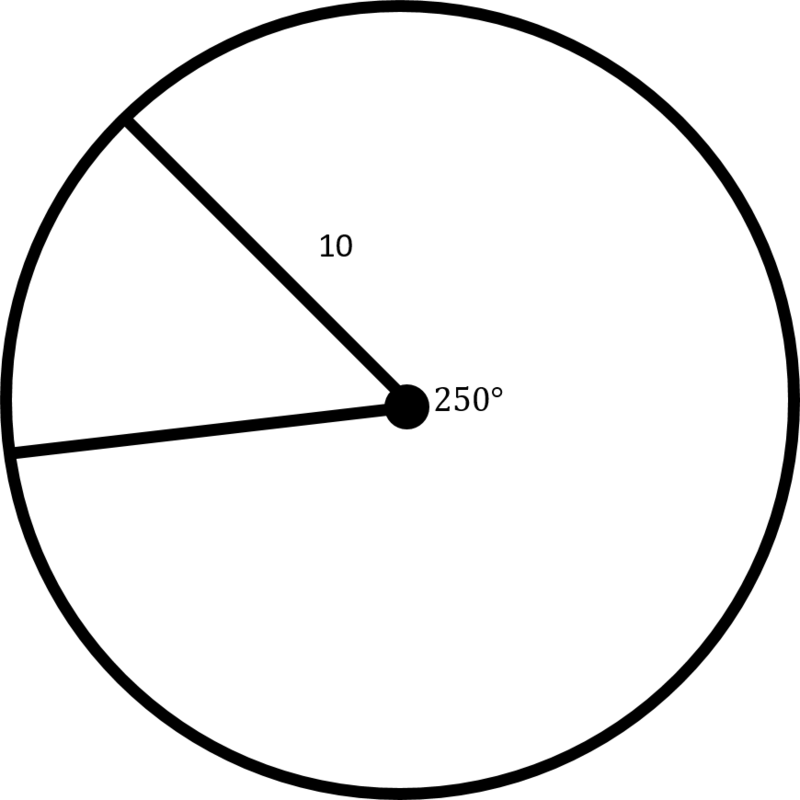 Solve and round to two decimal places. 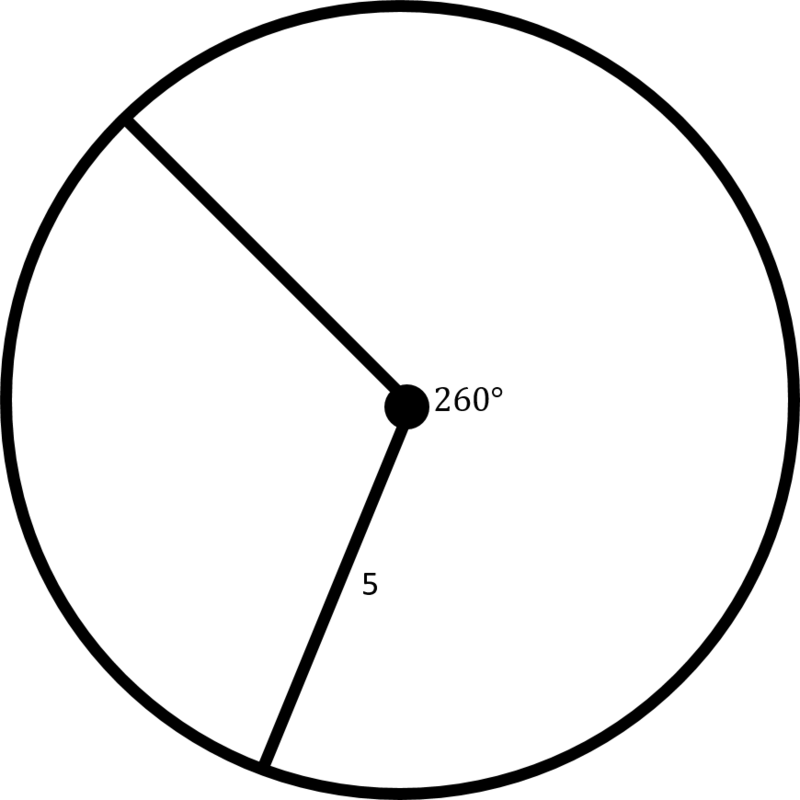 If the sector in the provided illustration has an angle of and the circle has a radius of , what is the area of the sector? Round to the nearest tenth. Find the area of the sector that has a central angle of degrees and a radius of .